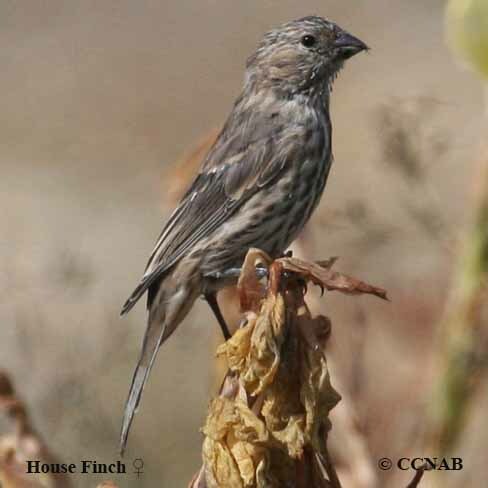 Species: The House Finch (Carpodacus mexicanus) is a native bird to western North America and into Mexico and Central America. Was introduced into a New York city park in the 1940's. 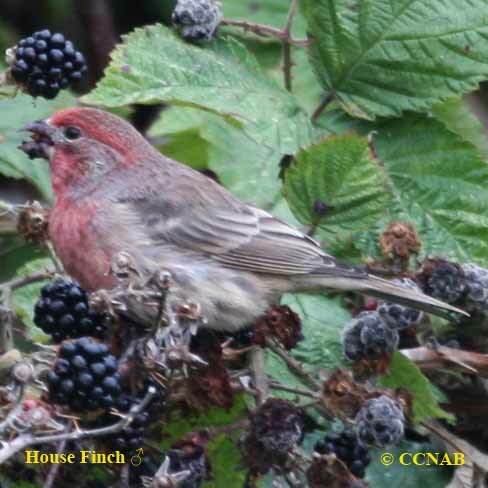 Today, this finch species is one of the most populated birds on the continent, covering a very large area of North America. 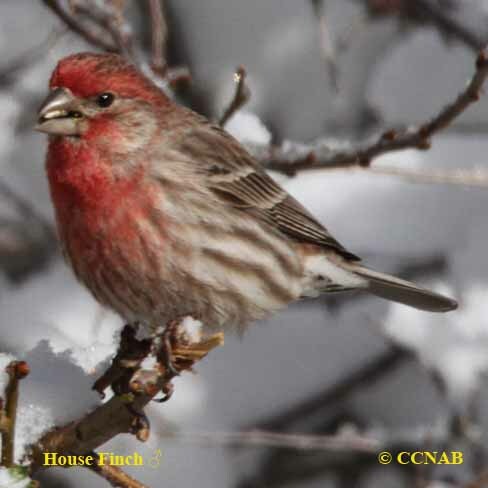 It is not uncommon to see different variants in the colours of House Finches, yellow and orange coloured House Finch are seen, especially, in the western regions. 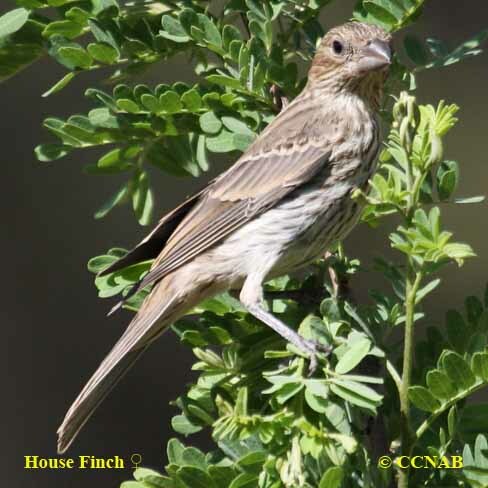 Distinctions: Sexually dimorphic, the male has a brown crown and auriculars, wings and mantle. A red face and breast, with streaking on flanks and mantle. The female is mostly brown overall, with strong streaks on flanks and mantle. Juvenile similar to female in size and appearance. Voice: Repeated four note lyrics, songs are very pleasant to listen to. Female also sings, but with a shorter lyrics. Nesting: Four to five light coloured blue eggs, with black spots. 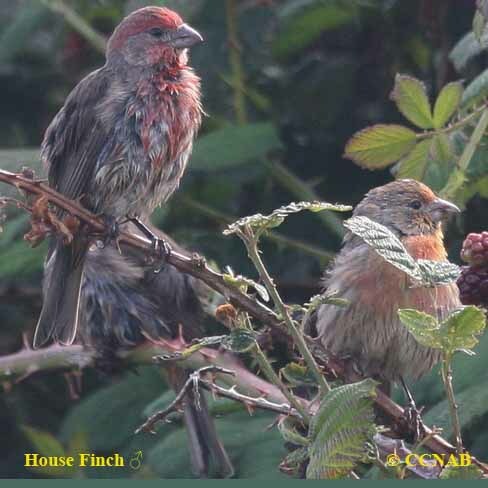 Nest can be in trees, shrubs, ledges or shelves, these finches are comfortable around people and dwellings. Distribution: Very wide spread, seen form Nova Scotia to the Yukon, down into California and farther south, across to Florida, covering most of Mexico, and into Central America. 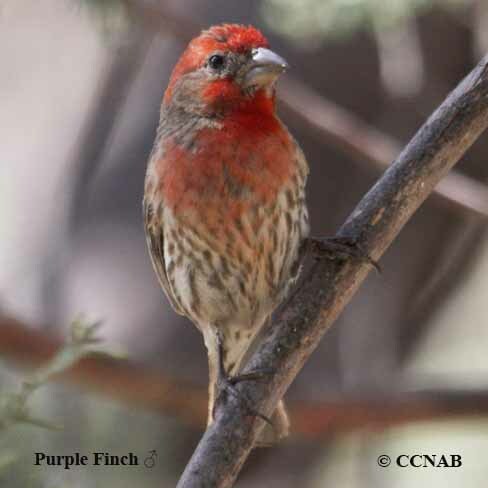 Although, these finches do not necessarily migrate, they may disperse to a warmer area in the winter months.